How do you replace what was possibly the greatest swimmer in program history? When it's someone as illustrious and respected as Van Mathias, by committee is the most reasonable and suitable path. And while the Beaverton High boys team will have to battle a lack of numbers as the district grows and spreads squads thinner and thinner, the Beavers will have their fair share of Metro League contenders for both the boys and girls. Mathias, a multiple time Class 6A state champion, state record holder and school record breaker, moved onto the University of Indiana, but his legacy will live on with the teammates he left behind. Senior Justin Zhou and junior David Kraske were part of the Beaver 400-yard relay team that took ninth at the 6A state championship meet a year ago. Head coach Judy Rusaw said Kraske should make state and the Beavers could qualify a relay to state. Zhou has a shot in the 50 free to make state. Jared Pratt, Luke Gayaldo and Zander Bradford will team with Zhou and Kraske as squad leaders and relay team members. Dual meet wins will be hard to come by for the boys, Rusaw said, simply because the Beavers don't have the number of bodies needed to compete with the district's best. 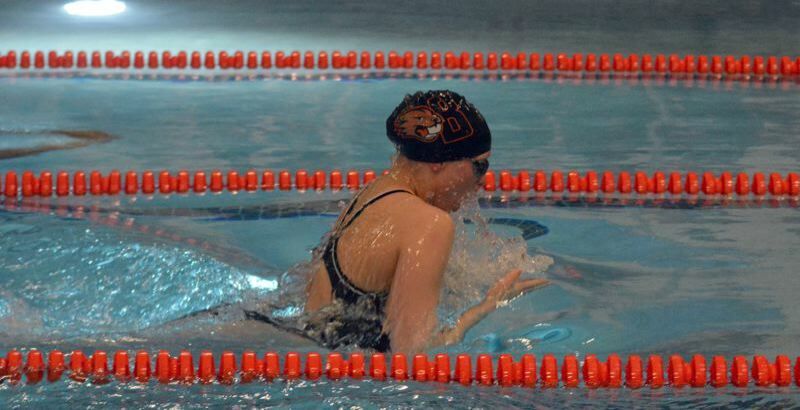 That said, Zhou and Kraske will be in contention for individual state berths and hope to carry on Beaverton's annual tradition of sending multiple swimmers to the state meet. On the girls' side, Rusaw believes the Beavers will be "fairly competitive" and should finish in the top three or four in the district standings. Beaverton has everyone back from last season and has additional help with new swimmers joining the program. Seniors Greta Heidrich, Abbey Ortensi and Joyce Lee, sophomores Lucy Ray and Annika Geymann along with freshman Grace McGee will all contribute to the varsity lineup. And Rusaw said the Beavers have additional girls that will give them much-needed depth. "I think the girl's team will have a shot at qualifying relays and possibly a couple individuals could make state," Rusaw said.